“ I am very pleased to state that we have made great strides in our implementation efforts. We have taken up the initiatives outlined in the Master Plan document in a systematic manner while also painstakingly engaging with the government, its agencies and other critical stakeholders whose support and collaboration is required to achieve the objectives outlined in the Master Plan” she added. 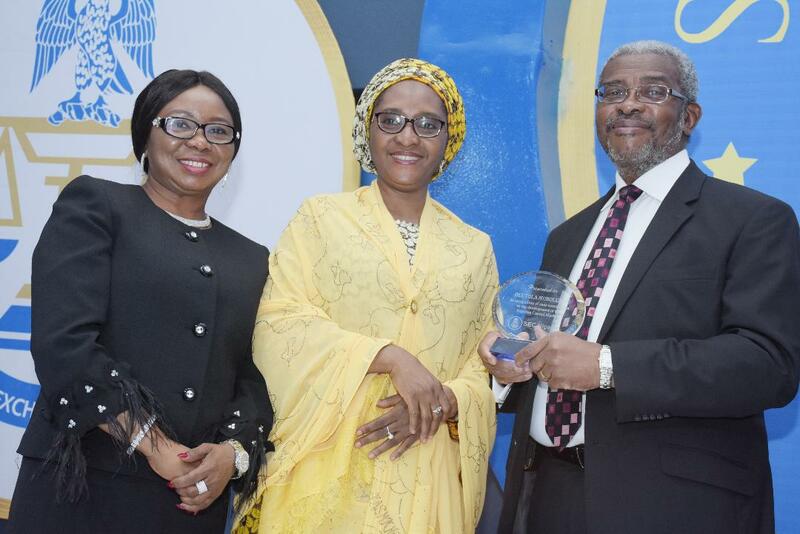 Photo Caption: From Right; Chairman, Capital Market Masterplan Implementation Council, (CAMMIC), Mr Olutola Mobolurin receives an award plaque from the Minister of Finance, Mrs Zainab Ahmed, supported by the Ag. Director-General, Securities and Exchange Commission, Ms Mary Uduk, (left) at the SEC Awards Night in Lagos on Tuesday, March 19, 2019.